BNY Mellon saw a drop in asset servicing fees in the first quarter of the year, bringing down its total investment services revenues by 5% year-on-year to just under $3 billion. Revenue from asset servicing, its largest business, was down 7% in comparison to the first quarter of last year at $1.4 billion. BNY Mellon stated the decline was due to lower foreign exchange and net interest revenue due to lower deposits and subdued client activity. It also said an unfavourable impact by a stronger US dollar further contributed to the decline year-on-year. Fees from its Pershing business also declined 5% to $554 million, however clearing and collateral management services was the only business to record an increase in the investment services unit, up 8% on the year to $276 million. Assets under custody and administration (AuC/A) increased 3% to $34.5 trillion, reflecting higher market values and net new business. “Several of our fee-based metrics in Investment Services were consistent with recent results,” said Charlie Scharf, chairman and CEO, BNY Mellon. “The year-over-year declines in revenue and earnings per share were primarily driven by the changing mix and cost of our deposits and the impact of the prior year asset management outflows. 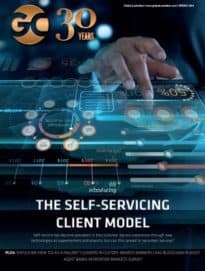 Earlier this year, BNY Mellon’s Scharf proposed a move to an ‘open solution model’ for asset servicing where it will work with external providers and platforms to give flexibility and choice. Following from this announcement, it signed an alliance with BlackRock to create a front-to-back office data service. The partnership will involve integrating BNY Mellon’s data insights, accounting and asset servicing tools with BlackRock’s Aladdin, one of the industry’s widest-used investment and operating platforms. “The strategic alliance that we announced with BlackRock Solutions is an example as common clients can immediately gain value. We have said we will work with third-parties to more closely integrate the front-to-back operating model, and this is one meaningful example of how we will use our data and tools to benefit our clients, working on our own solutions and with third parties,” added Scharf.